The Lions fought hard and brought home a State and SPC trophy. The Varsity Baseball team entered the SPC tournament as the #1 seed out of the North Zone and squared off against St. Andrew’s in the quarterfinals, having received a bye in the first round. Falling behind 7–2 to a hot-hitting Crusader offense, the Lions rallied to score seven runs in the bottom of the fifth inning, led by senior Drew Baxley’s home run and senior Angel Reyes’ bases-clearing triple. However, St. Andrews scored twice to knot the game at 9-9 before Zach Landry ’18 knocked in a game-winning single with the bases loaded and two outs in the bottom of the 7th to give the Lions the walk-off victory. In the SPC semifinal, the Lions met traditional powerhouse Episcopal High School of Houston. A classic pitchers’ duel marked this game, as both offenses were largely stifled. Working out of a difficult jam in the first inning, William Caldwell ’16 settled in and dominated the Knights’ offense, throwing a complete game shutout. Fortunately, Brannon Rouse ’16 scored on a passed ball to give the Lions there only run, which ended up being the game winner. The SPC Championship game found the Lions facing off against Kinkaid in a rematch of last year’s final. The Lions fell behind 5-0 after a few fielding errors and a couple of timely hits by the Falcons. Highlighted by Zach Landry’s two-RBI single and William Caldwell’s three-run HR, St. Mark’s tied the game at 5-a-piece in the bottom of the fifth inning. 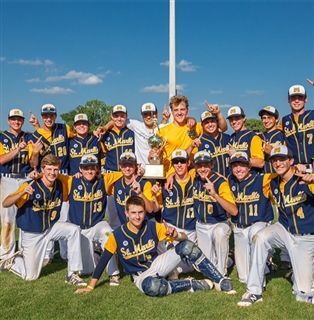 Excellent relief pitching by Hunter Alexander ’16 and Reece Rabin ’18 held Kinkaid at bay while the Lions tacked on six more runs in the top of the 7th, securing the championship! 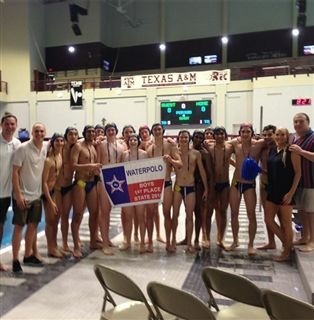 After winning the Inaugural 2016 Private School State Championship on Wednesday, the Varsity Water Polo team traveled to Texas A&M University to defend their 2014 and 2015 State Titles. In the first game they played a 4th seed from the South Region, Dawson HS (Pearland). Our team showed the nerves of a young team and started slowly, but in the end won the game 16 to 4. In the quarterfinal they had to face a much older Strake Jesuit team, caring on the roster 8 seniors and 4 juniors. The first goal came with only two minutes left in the first quarter, Jesuit up 1 to 0. A rocket shot at the buzzer from junior Andrew Lin tied the game at the end of the first quarter. From then on the Lions defense was suffocating and did not allow Strake to score again for the rest of the game (over 20 minutes of playing time). St. Mark’s won the game 4 to 1 and moved on to the semifinal. Here the Lions had to play the top seed from the East Region, Clear Brook HS. The young Lions showed their inexperience and struggled in offense as well as in defense. But their skill, determination, and superior conditioning allowed them to prevail and win the game 8 to 7. In the Championship game the Lions had to face Southlake Carroll. Playing with heart, focus, and discipline, and executing the tactical plan to perfection allowed our guys to completely dominate their opponents. The Lions were up 4 to 0 at the beginning of the second quarter. In the end the score was 8 to 4. The Lions proved they can overcome any adversities, they can survive the loss of magical seniors, and they can rebuild (5 freshmen on the State roster) in record time. The Lions Water Polo team won its 3rd State Title in a row, an exceptional performance. More than that, the team placed in the top 3 at State in the last 8 (eight) straight years, and won 4 (four) times (2009, 2014, 2015, and 2016). 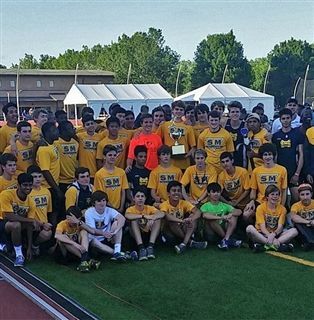 In this past weekend’s SPC Track & Field Championships, St. Mark’s and St. John’s participated in an epic battle for the team championship. St. Mark’s went into the final event, the 4 x 400 Relay, with a 4 point lead. St. John’s was able to run a little faster in that relay and come away with a 4 point victory over St. Mark’s. 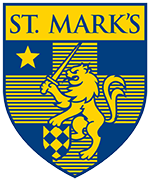 St. Mark’s second place finish is their best finish since winning the championship in 2012. There were some very outstanding performances from the Marksmen throughout the meet. At the very top of that list is senior JT Graass. JT’s performance over the two days will go down in SPC history as the greatest distance performance of all time. On Friday, JT first won the 3200m in 9:32.14. Later that same day, he anchored the winning 4 x 800 Relay team in 8:04.62 (4th fastest in SM history). On Saturday, he won the 800m in 1:57.41 and then came back to win the 1600m in 4:25.46. Four events and 4 victories. It is a feat that has never been done before in SPC history. Following him was senior Johnathan Berry who won both the Shot Put (48’ 1.50”) in a new PR (personal best) and the Discus (152’ 7”). Clay Morris also had an outstanding day with a stunning second in the Long Jump (21’ 3”) and, in a fierce competition, finished 3rd in the High Jump (6’ 5”), a new PR and the 4th best jump in SM history. Other outstanding performances were junior Keith Kadesky’s win in the Pole Vault, equaling his PR of 13’ 0”, sophomore Daniel Garcia’s incredible third place in the 400m with a PR time of 49.93 and 5th place in the 200m. He also anchored the 4 x 100 Relay and 4 x 400 Relay team(s). Justin Berry ’16 with a seasonal best (138’ 5”) in the Discus and earned a third place as well. Daniel Cope ’17, Sam Shane ’18, and Scott Smythe ’17 joined JT Graass on the winning 4 x 800 Relays team. The entire team gave it their all in a classic showdown with another great team. It was a great effort and a great experience for the entire team. 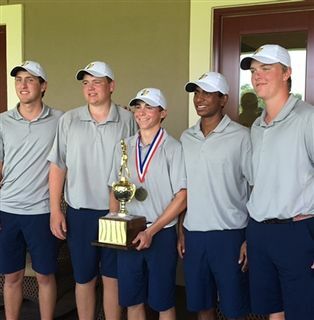 The varsity golf team finished a record-breaking season with a runner-up finish at the SPC Championship Golf Tournament held April 25–26 at the Woodforest Golf Club in Montgomery, Texas. The road to the conference championship included three new tournament scoring records and a perfect record in match play. St. Mark’s posted rounds of 306 and 305 at SPC for a two-day total of 611. Junior Captain Sam Clayman scored two even par rounds of 72 to finish with a 144 total and in 4th place and All Conference honors. The varsity tennis team entered the SPC Tournament as the #2 seed from the North Zone. Matched up against Kinkaid in the first round in a rematch of last year’s SPC semifinals, the team won both double matches, but in singles were matched up against very strong players and were unable to come out on top. On Saturday, the Lions faced Oakridge in a match that would determine 5th place. The doubles teams made up of seniors Anvit Reddy/Albert Thieu and Will Hardage/Will Garden were victorious in their final matches representing the Lions. Once again, the Lions fought hard in the singles matches but were unable win against a tough Oakridge singles lineup, losing the match 2-3. The Tennis team enjoyed a successful season overall, finishing with a 8-1 SPC North Zone record. The team appreciates the contributions of its four seniors, Garden, Hardage, Reddy, and Thieu, and with great depth in talent returning next year, the Lions will look forward to another successful campaign in 2017. The crew team will travel to Oklahoma City this weekend to compete in the Central District Youth Rowing Championships. The top boats will have the opportunity to compete in the USRowing National Championships this June in New Jersey. The varsity lacrosse team will host Plano West at 6:30 pm this Wednesday in the district round of the State Playoffs. If they win, they will travel to either Austin or Houston for the Super Regionals this weekend (May 7 & 8).